Superior Exam Quality. Satisfying Patient Experience. By closing the gap between today’s powerful ultrasound imaging systems and the limitations of PACS, the Imorgon Ultrasound Enhancement System™ ultimately increases patient safety and satisfaction. It starts by empowering sonographers to present radiologists with a more thorough, detailed and representative exam, enabling more accurate, precise and confident diagnoses. The system may also increase patient safety and satisfaction by improving exam and reporting quality. The Imorgon System accurately captures and reports all relevant exam data the first time, so patients are less likely to be held or called back for re-scans. 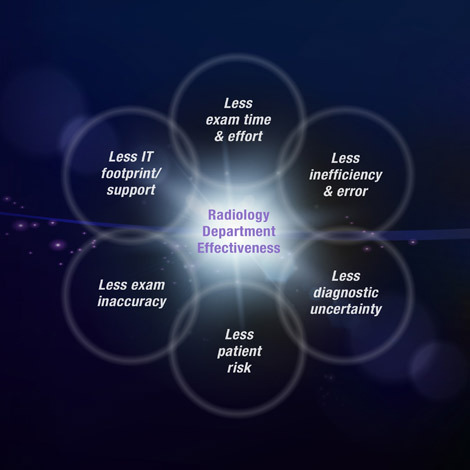 This more efficient exam process means patients are in and out of the radiology department more quickly and not kept waiting due to technological shortfalls. All in all, the patient’s experience with ultrasound is more likely to have been a positive one.